Yes, we deliver product to our customers but it doesn't end there. With that product comes a better way of getting the job done. Our world class service starts with your first phone call. It’s actually answered by real person! You will talk to people with over 16 years of experience. Our staff has the knowledge to answer your questions and get you what you need. They know what can be done and how to do it. Our vendor managed inventory staff all have years of experience and can help you reduce the workload in many of your departments, train your staff on ongoing basis, place your orders for you and answer questions that you may have. You will have a dedicated inside and outside salesperson. Each of these people has dedicated their lives to our industry. They are willing to share their knowledge with you. Need your order today or tomorrow? No Problem! You will have it at your door in a few hours. 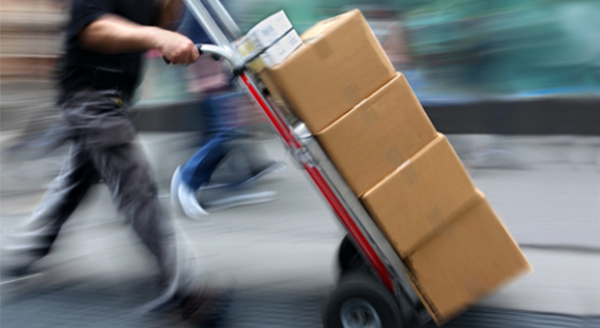 Normal deliveries are made in 1 to 3 days. HDI has customized software solutions that save purchasing and accounts payable considerable amounts time. Let one of our dedicated sales reps show you how these solutions can help you. HDI's core principle is to reduce the amount of work your staff has to do. With our solutions we often cut labor 50-75% on some of your basic functions. These solutions give your staff the time to focus on other projects. We can get your products when you need them. With same-day delivery, Next day delivery and scheduled deliveries you won’t worry about whether you’ll have your product you need or not. They will be there. Not only are we the first to offer Internet ordering, we do something special with it. HDi will customize your reorder list for you. What this entails is doing a site survey at your location listing everything that you could purchase from HDI. Then you’ll be able to login into the HDI web order entry system, see you all the items you buy, select the items you need to order. You have a single point for order entry instead of buying from 5 or 6 different vendors. This is a great way to stay organized and reduce your workload.